Question in the title basically. Not sure what else I can say! 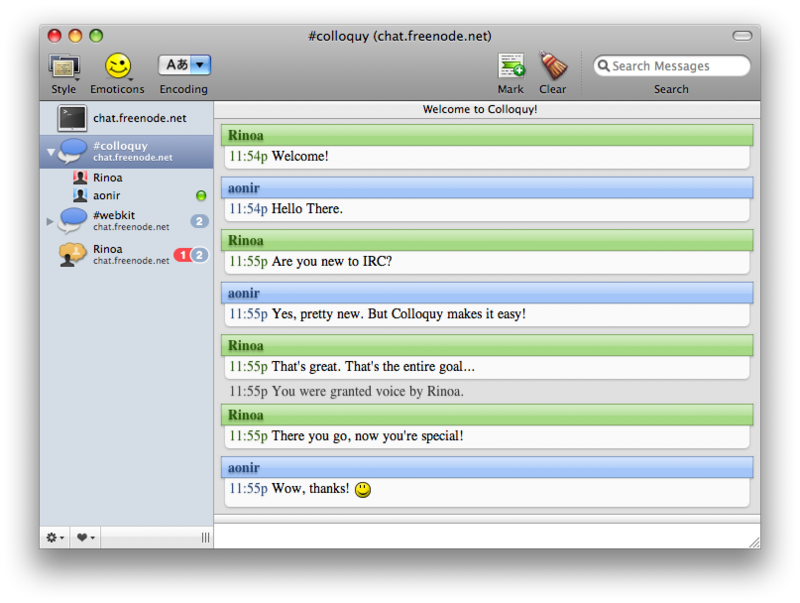 The most popular IRC client on the Mac platform is undoubtedly Colloquy (free). It has a sleek interface and is extremely configurable. Not the answer you're looking for? Browse other questions tagged snow-leopard software-recommendation software . What is the best phonetic app for the iPad? What are the best WBS and Gantt chart tool working cross platform? The best way to sandbox programs in OSX?